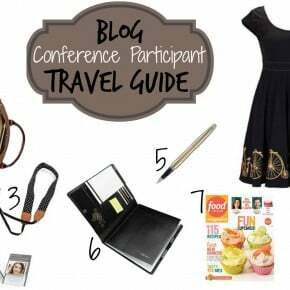 I’ll share an itinerary with you, and go through it as you would starting on a Saturday morning, but then at the bottom I’ll provide a recap in list form of places. 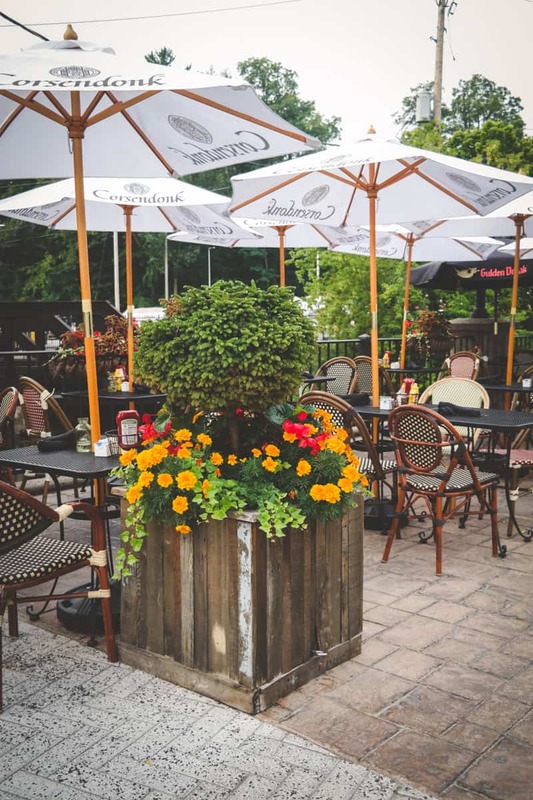 Any of these places are fun to go to on any night of the week also (especially the beer garden – they have live music and it’s a great spot to meet with family and friends after work). 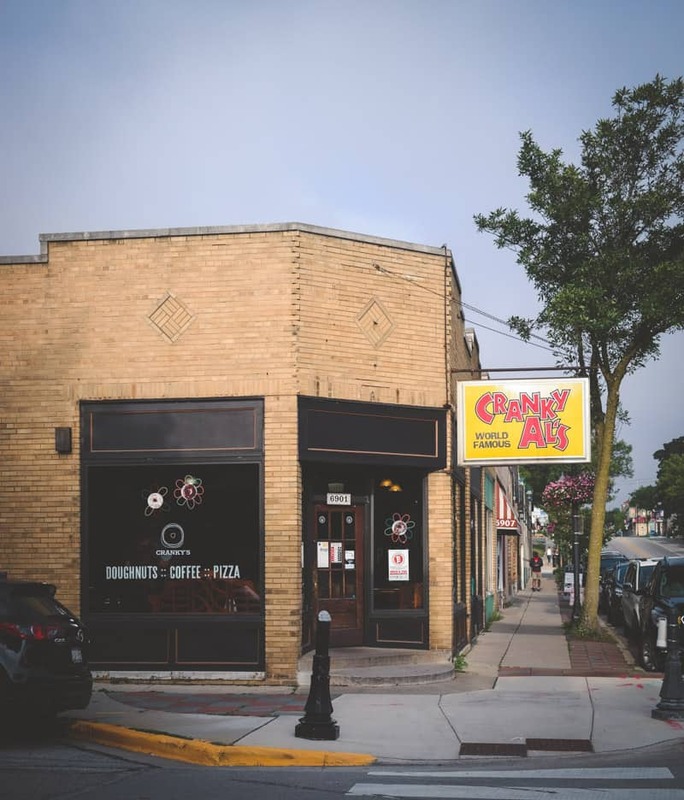 You’ll start the day by getting some delicious donuts from Cranky Al’s. Cranky Al’s has the most delicious donuts around. 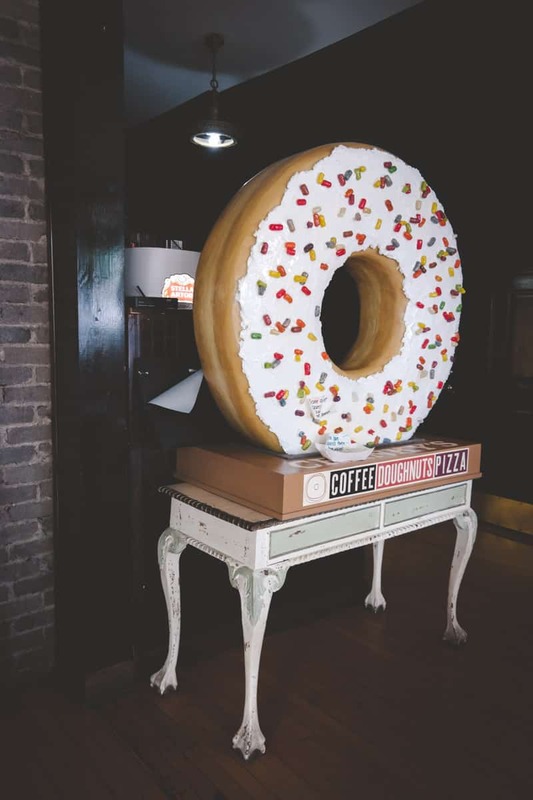 They are hand made, and Food Network’s Alton Brown declared they were the best donuts he’d ever had on the road in 2015! 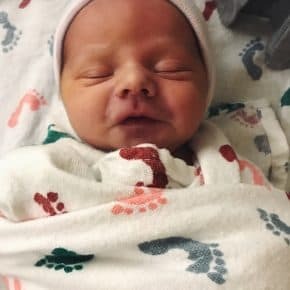 There’s also a myth going around by the nurses at the local hospital that if you want to go into labor (and you’re at 40 weeks), you should eat Cranky Al’s. When Ben’s due date had come and passed, I definitely tried this (I mean, eating donuts is the least weird thing you’ll hear) but sadly it did not work for me lol – but hey, at least I had delicious donuts! Also, Cranky Al’s serves pizza (which you can enjoy in their restaurant or at the beer garden I’ll talk about later on.) 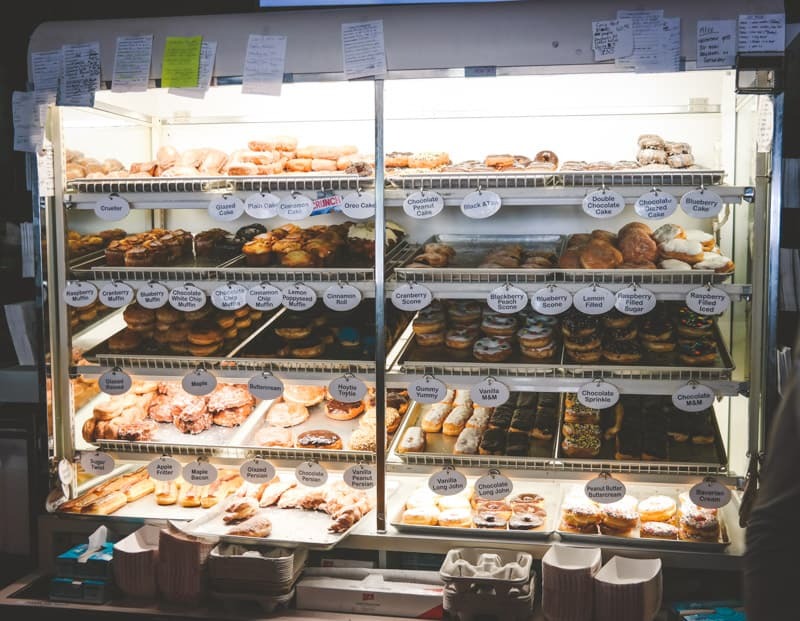 After you grab some donuts, it’s time to head on over to the Tosa Farmers Market. 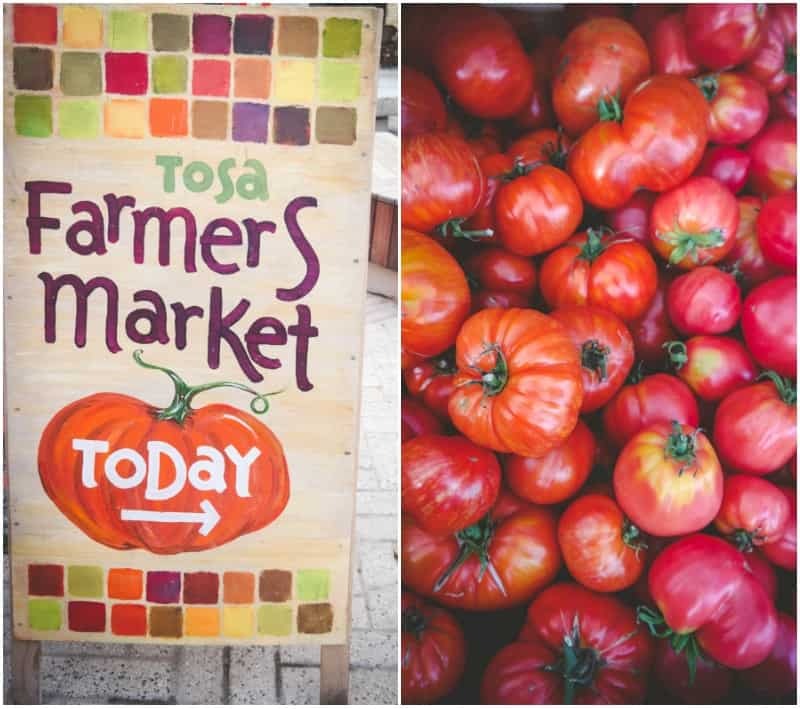 Tosa Farmers Market is a beautiful open air market, held every Saturday throughout the summer from 8am -12pm. There are a plethora of farm stands selling fresh produce as well as local artists and crafters who sell their homemade goods, and the flowers, omg I’m so in love with farmers market flowers! 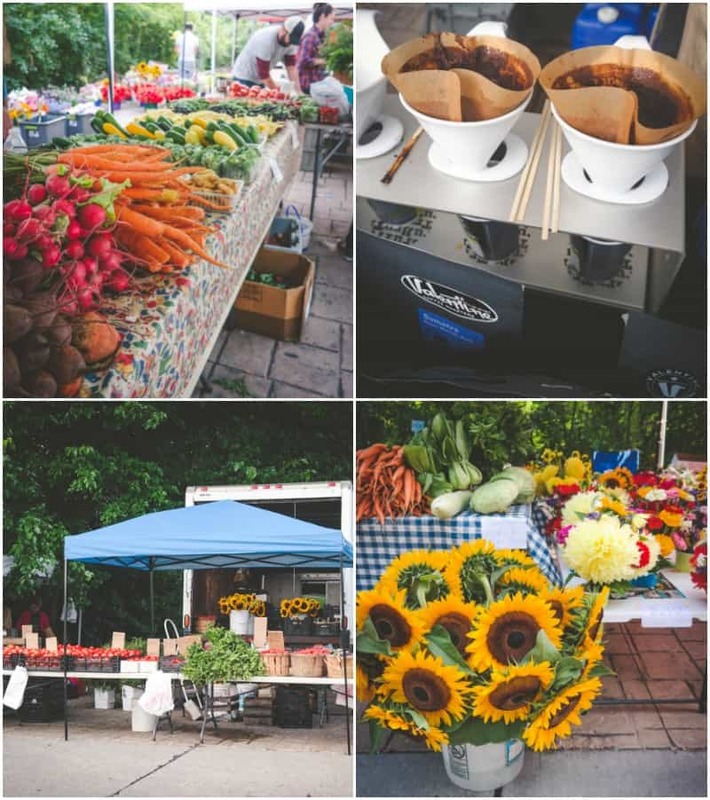 You can also get fresh pour-over coffee and buy the freshest produce around (I love heirloom tomatoes, they’re so gorgeous!) 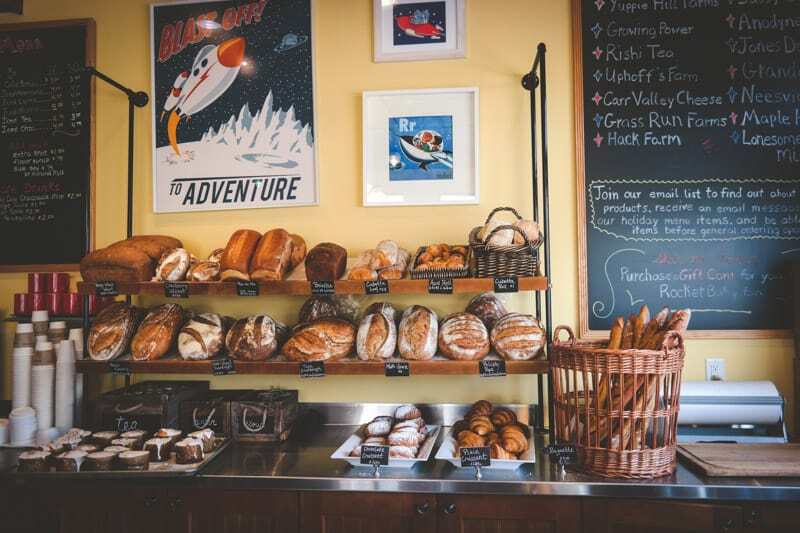 After the farmers market you can stroll around the heart of Tosa village which has many shops to check out. 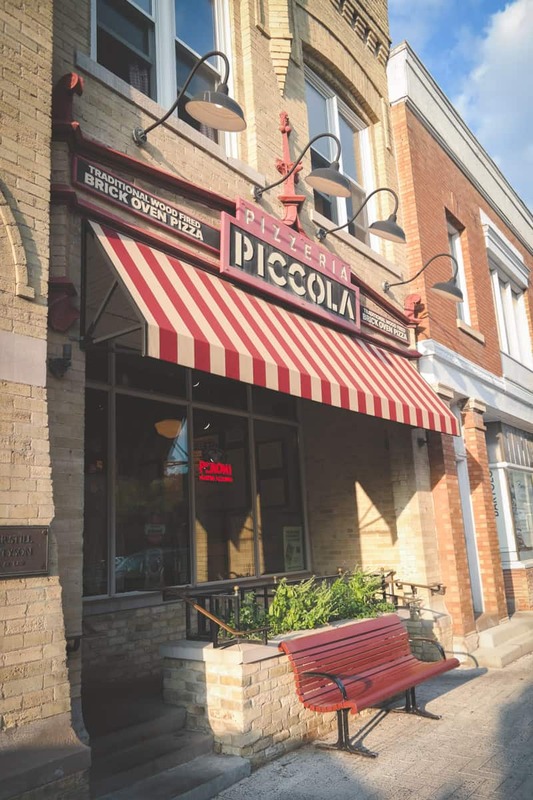 Next it’s time for lunch: head on over to Pizzeria Piccola. 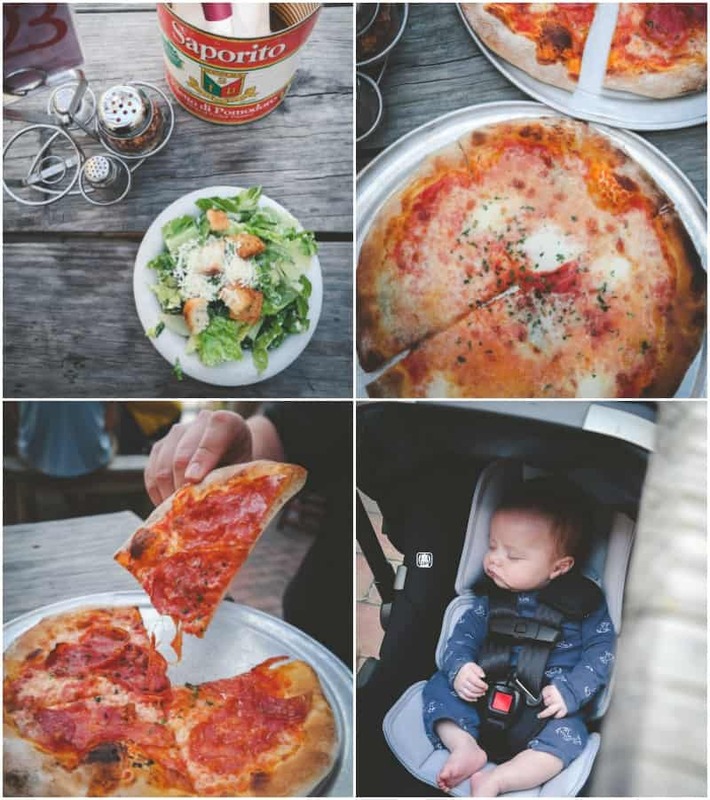 Pizzeria Piccola means tiny pizzeria, it’s just that! 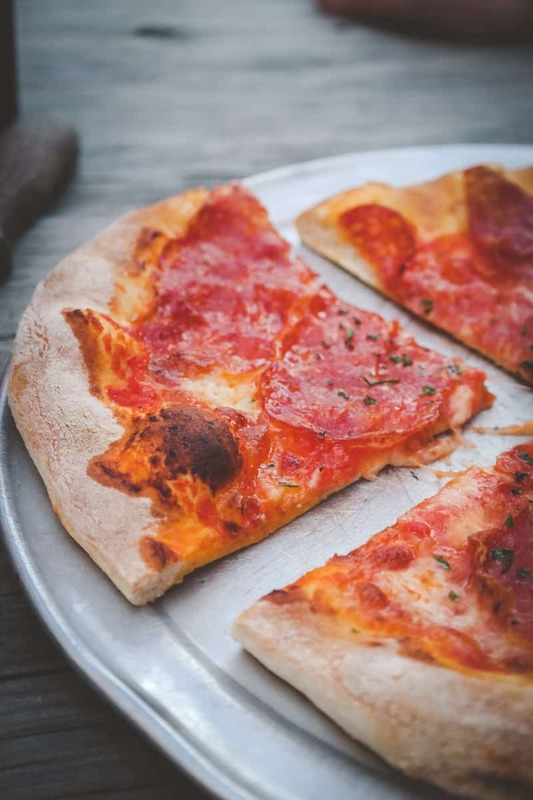 It’s a small pizzeria which makes individual wood-fired pizza to order. It’s so yummy! I’m not ashamed to admit I can eat a whole pizza by myself. After lunch you’ll take a stroll along the Oak leaf Trail which goes along the Menomonee River. 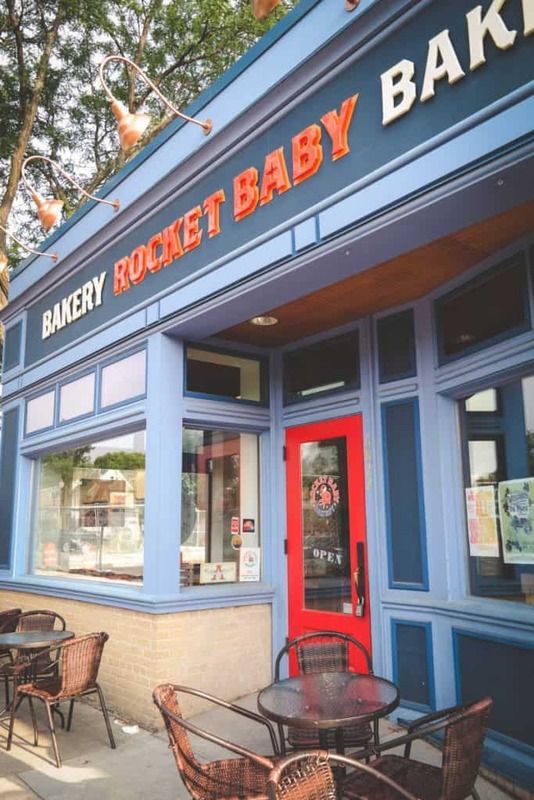 You can walk right from downtown Wauwatosa Village to Hoyt Park (1.3 miles). 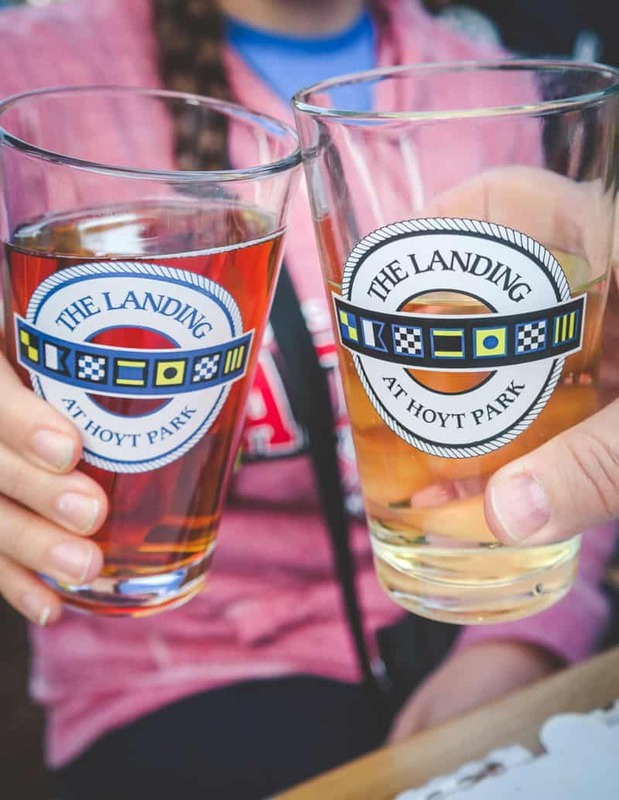 The Landing at Hoyt Park is a really nice beer garden where you can enjoy a nice cold beer and a giant pretzel. 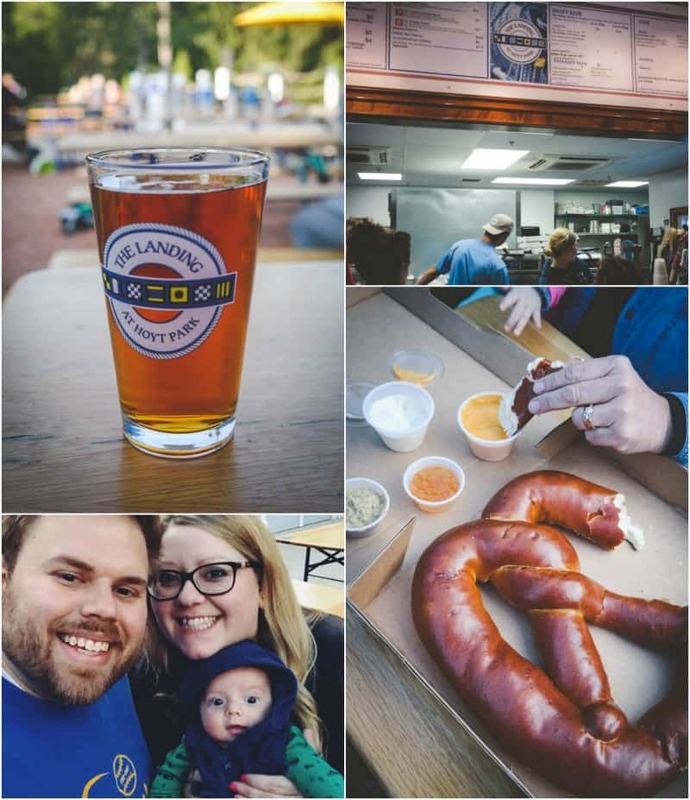 There is live music, cold beer, pretzels, and you can order pizza there too. It’s Cranky Al’s pizza – the place I mentioned earlier that has the awesome donuts. The whole family will love this beer garden! 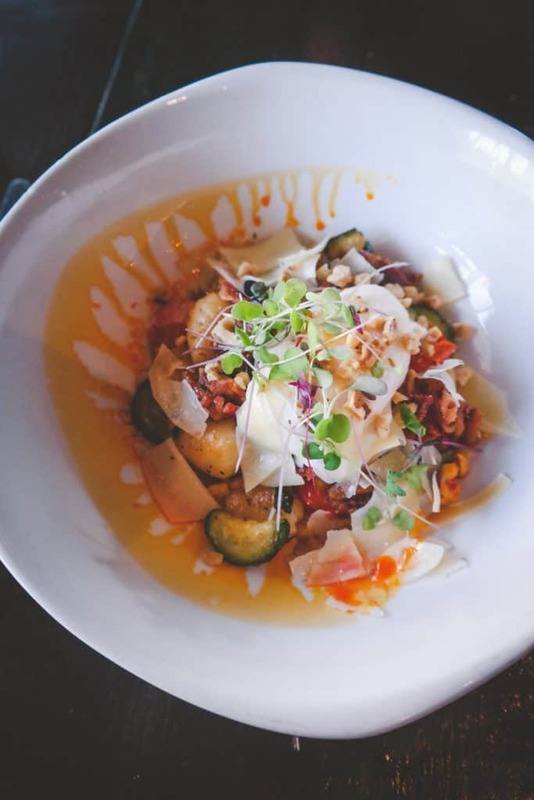 Finish the evening by having dinner at Firefly Tosa. It’s back where the farmers market was. Firefly has a great selection of really innovative menu items and the restaurant has such a nice atmosphere. There’s a really big lounge/bar area at the back, and the dining room has big tables and super comfy chairs – and the chandeliers – swoon worthy! I could legit just eat off their apps menu. 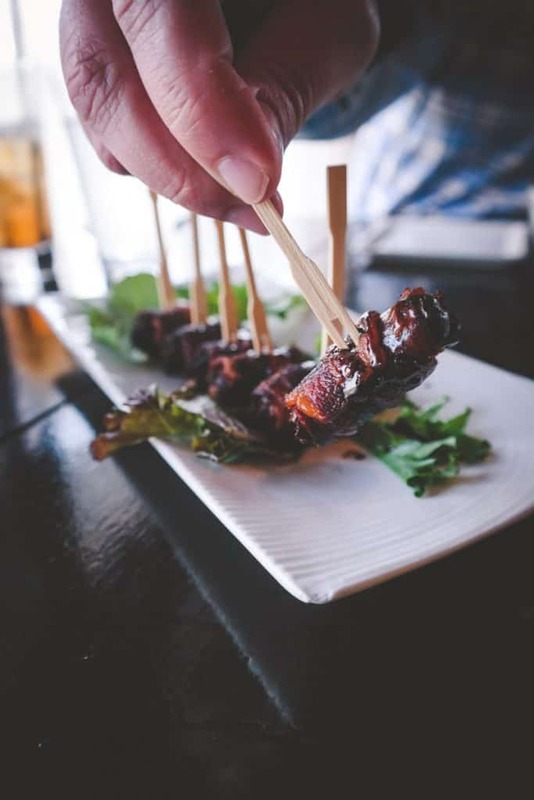 We had bacon wrapped figs (an all time fave of mine). 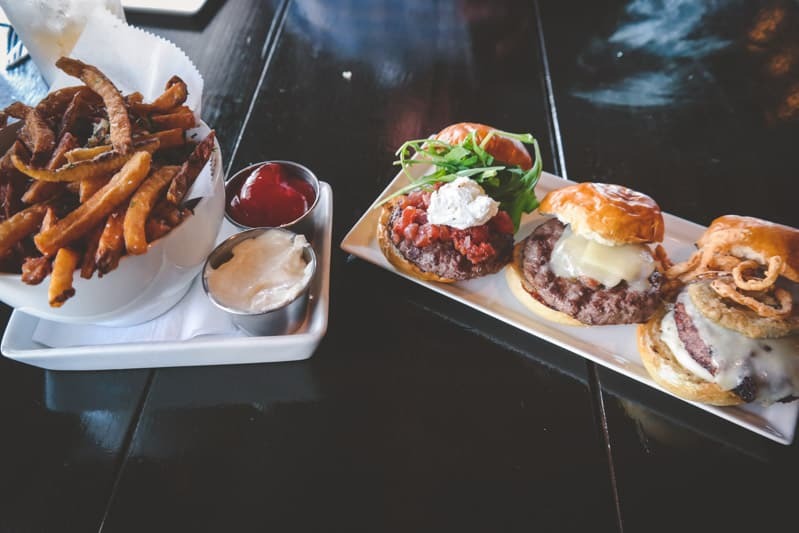 We had their micro burgers (3 different sliders, each more delicious than the last) with fries as an appetizer, and then totally filled up before we even got our main course (we shared a gnocchi dish that was chock full of fresh summer vegetables and had a poached egg on top). 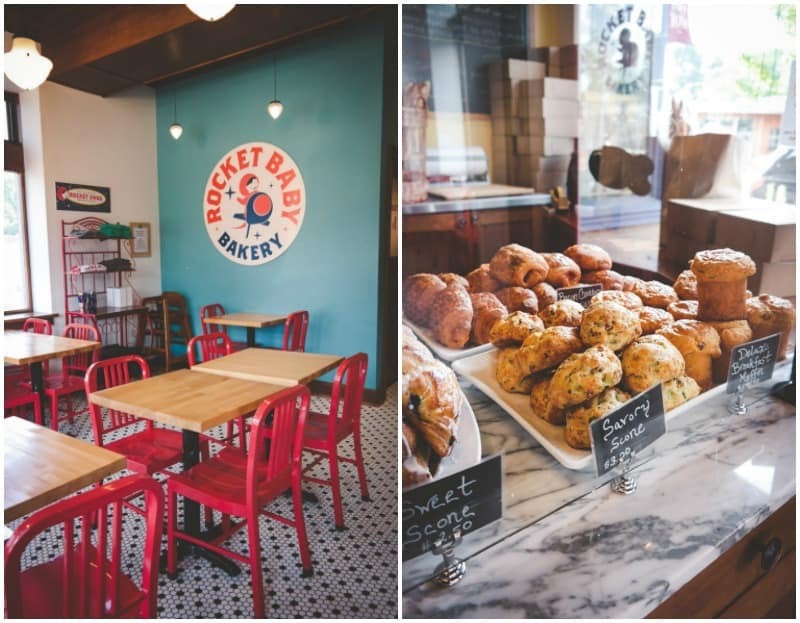 The next day, start the morning off right by going to Rocket Baby Bakery! 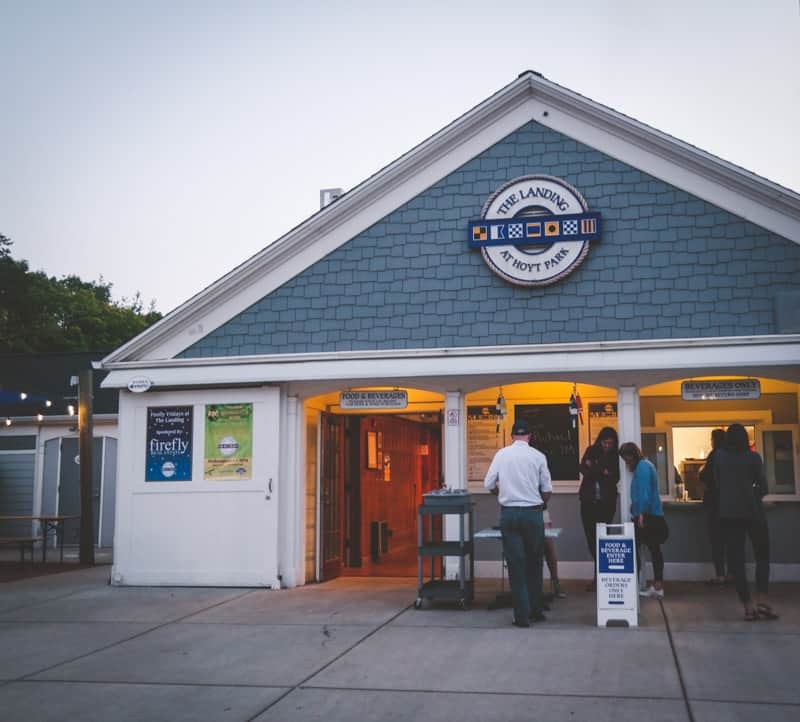 I would suggest getting some fresh baked goods (definitely get a croissant or savory scone) and grab a cup of coffee to go, and then head on to the Milwaukee County Zoo. 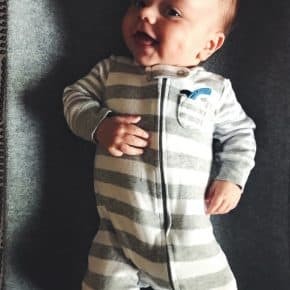 I don’t know about other babies, but I can tell you that Ben loves to be on the go. As soon as the stroller gets going, he calms right down and even sleeps. But stop moving? That my friends, is when he has a meltdown! So all the activities you see here, they’re all nice and baby friendly because they had space for us to keep Ben on the move! Now, I have been to the Milwaukee Zoo a few times, but with a baby? OMG it’s so much more fun! I cannot wait until Ben is a little older, but we will definitely be getting a Zoo pass next summer. 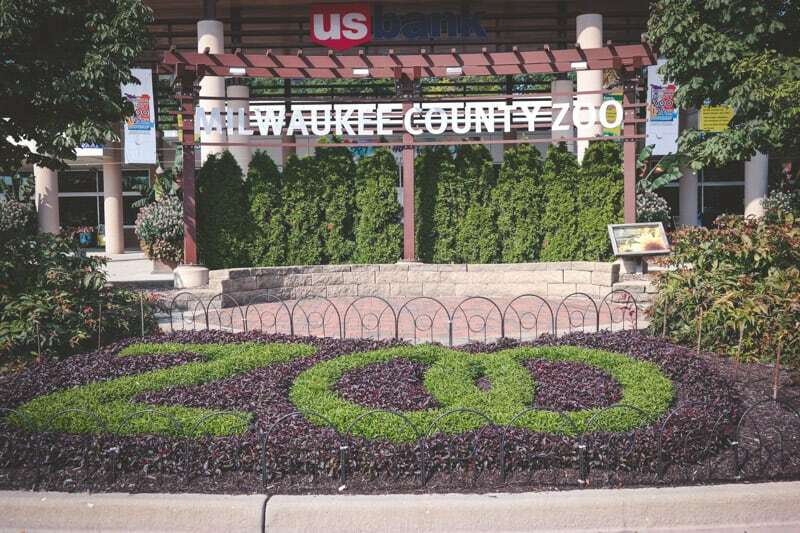 There are so many amazing exhibits and activities at the zoo. You can take the Safari Train or take a tour on the Zoomobile or visit the family farm (or feed the giraffes or go on the climbing wall or ropes course!) 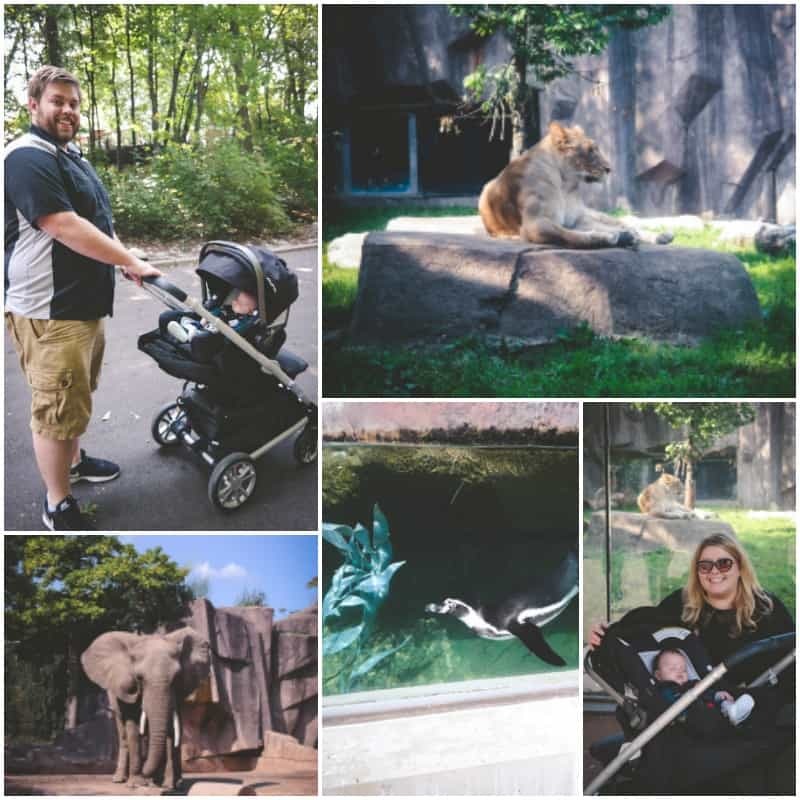 While Ben was a little young for any of the activities, we loved walking around the zoo and staring at the majestic animals! After the Zoo, head on over to the Mayfair Collection. 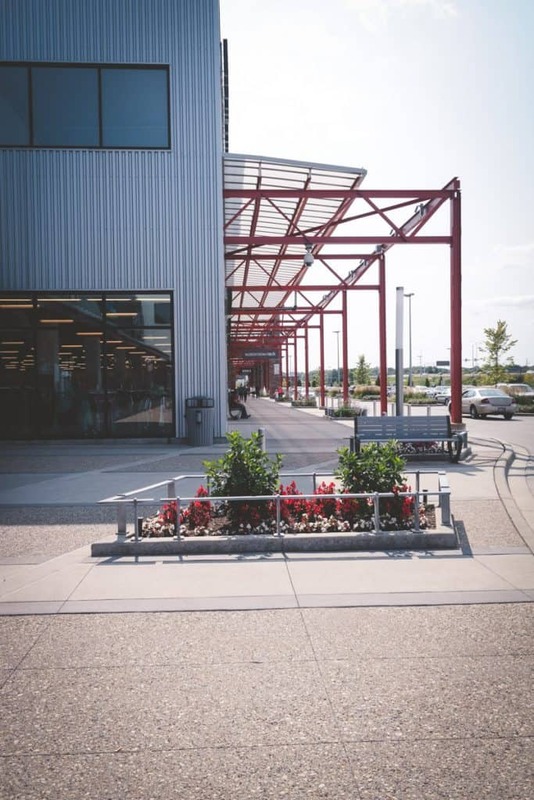 The Mayfair Collection is a brand new premier shopping complex (I’ve been seeing it be built over the past few years, so it’s great to finally be able to shop there) and has stores such as Carter’s and OshKosh Bigosh. The Mayfair Collection is also home to may great restaurants. We went to Cafe Grace for a late lunch/early dinner. 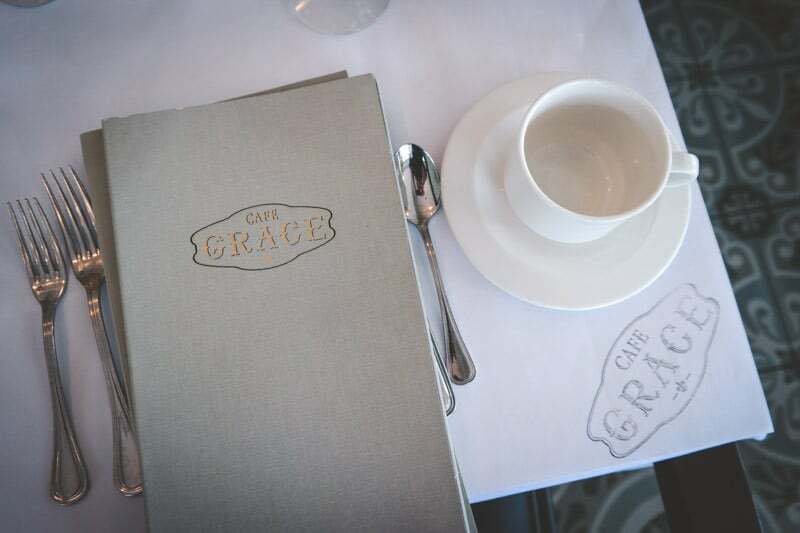 Cafe Grace is a modern, upscale French cafe. 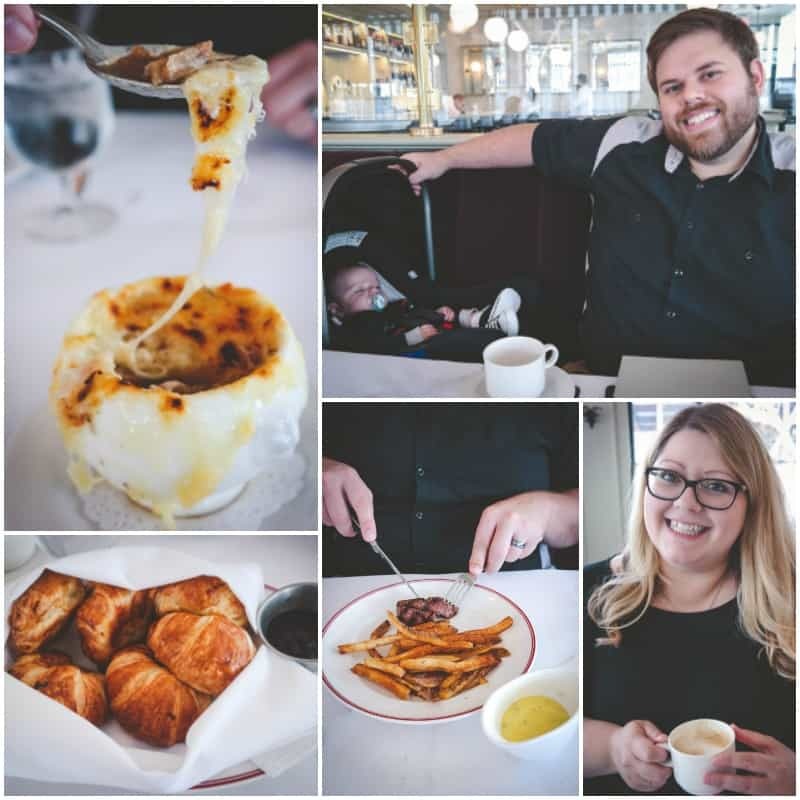 When at a French cafe, you must order a French onion soup (the one at Cafe Grace is so darn good, I may or may not have regretted splitting it with my hubby lol). Also when at a french restaurant, steak and frites is a must. We shared our meal, and everything was just so perfect, I could not have asked for a better finish to our active weekend. 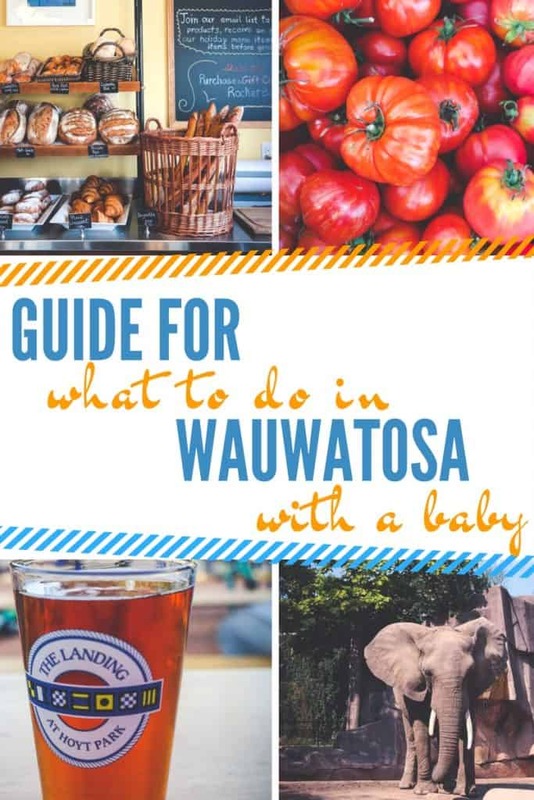 If you’re looking for family/baby friendly places to go and things to do in outskirts of Milwaukee, the Village of Wauwatosa has a lot to offer! More places I need to visit, Thank you Phi!